Tents and halls with saddle roof are designed for quick and easy-to-rise structure roofing. 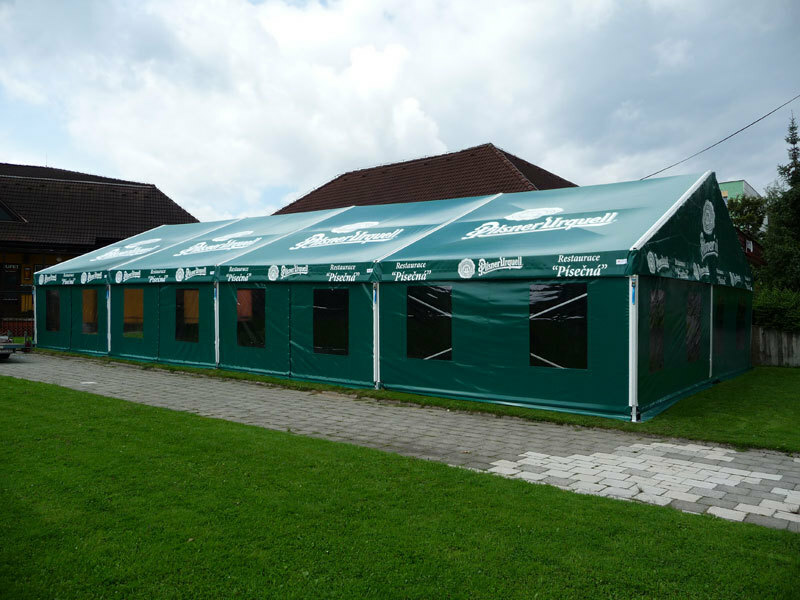 Tents serve especially for fast roofing of extensive outdoor social and sports events and similar purposes. 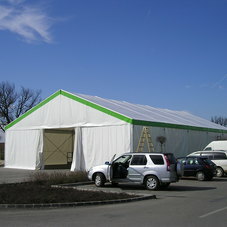 In short-term perspective, they can also be used as fabric structures or storage premises. 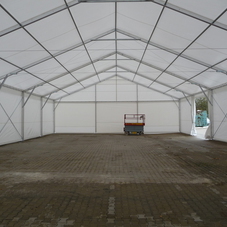 Halls are suitable for fast and economic construction of permanent, especially storage premises. These fabric tent buildings are optimal structures for tent and mobile buildings. 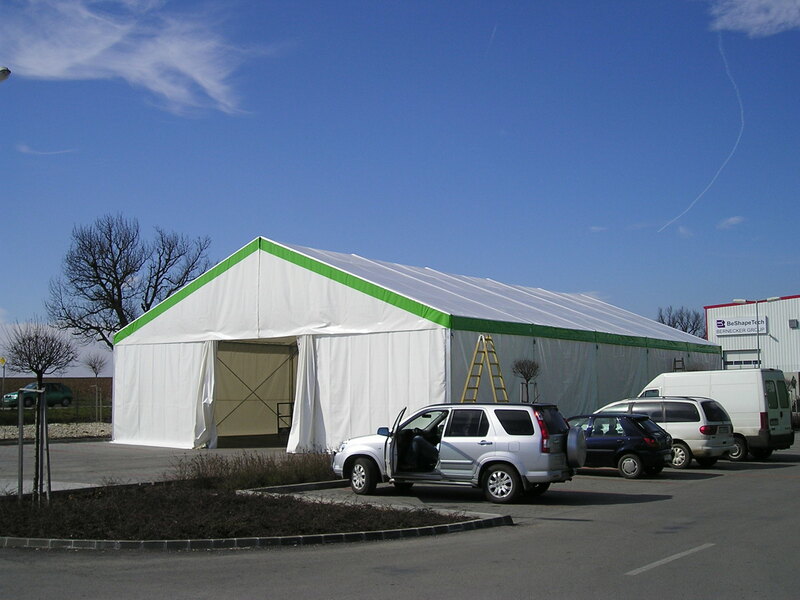 They require no building foundations, they only need flat paved surface. 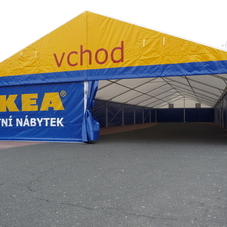 Bearing structure of the tent is made of special grooved profiles of alluminium alloy and steel couplings. 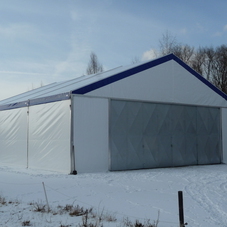 All parts of the structure are provided with surface finish - alluminium profiles by anodizing, steel parts by galvanizing.